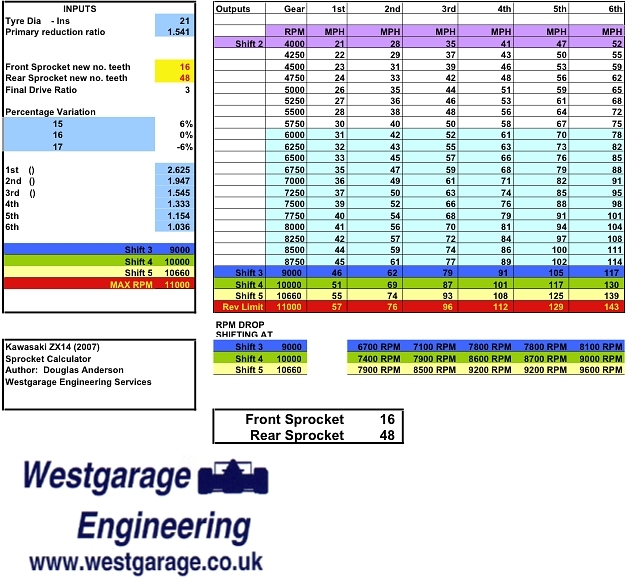 Here are some excel (.xls) spreadsheets which are set up to calculate suitable gearbox (countershaft) and differential sprocket sizes for chain drive differentials fitted to bike engined vehicles. If your bike engine is not listed, contact us via the contact page and we should be able to find the data. We also have gearing calculators for jack-shaft installations and direct geared units for EVs. 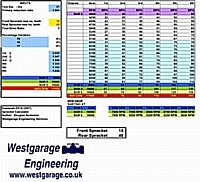 This spreadsheet is “Freeware” please credit Westgarage Engineering Services.